The Autism Berkshire office will be closed on Good Friday and Easter Monday for the Easter bank holiday weekend. Our Helpline advice service is available as usual on 01189 594 594 or by email at contact@autismberkshire.org.uk between 10am and 1pm until this Thursday, April 18. The office and helpline will reopen at 10am next Tuesday, April 23, and we will also be running a drop-in autism advice session that day from 10.30am to 1.30pm. 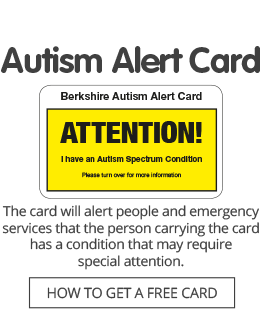 A trainee constable from Thames Valley Police is visiting us for a couple of days next week to learn more about autism and the work that we do, so there will be an opportunity to talk to him during the drop-in session. Please come along if you are able to. No appointment is needed to attend our drop-in advice sessions, which take place on Tuesdays during school terms. Just come along to the office at 40 Caversham Road, in the centre of Reading. The office is a short walk from Reading railway station and the Friar Street bus stops. Pay-and-display car parking is available in Vachel Road, next to the office entrance.